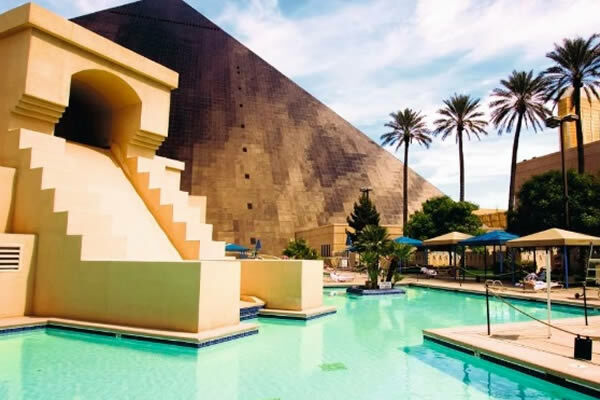 An adults-only hotel with its own beach and 3 swimming pools. Flights included. 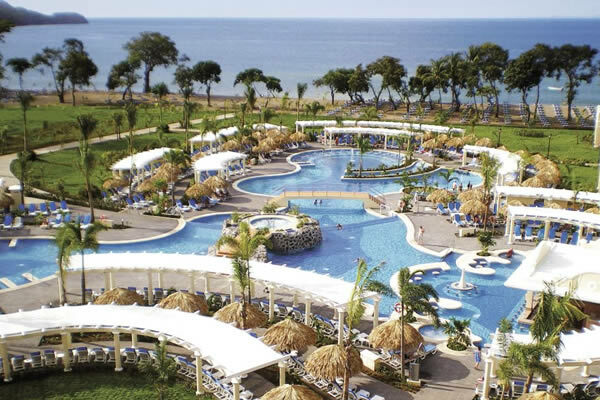 Enjoy a beachfront setting, stylish interiors and a great choice of restaurants at ClubHotel Riu Negril. Flights included. 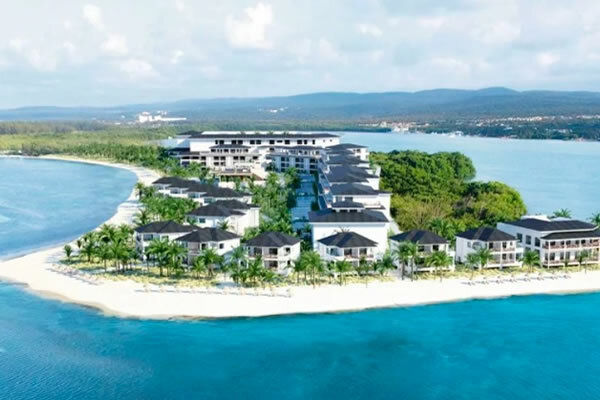 Picture a white sandy beach, a modern hotel, 2 swimming pools and much more. Flights included. 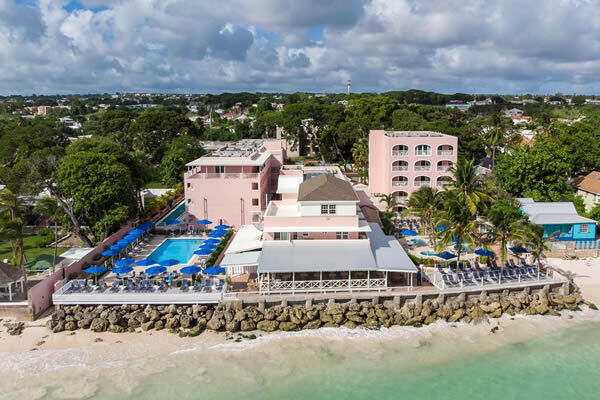 All turrets and towers, this stylish hotel is in a great location right by a powder-soft beach. Flights included. 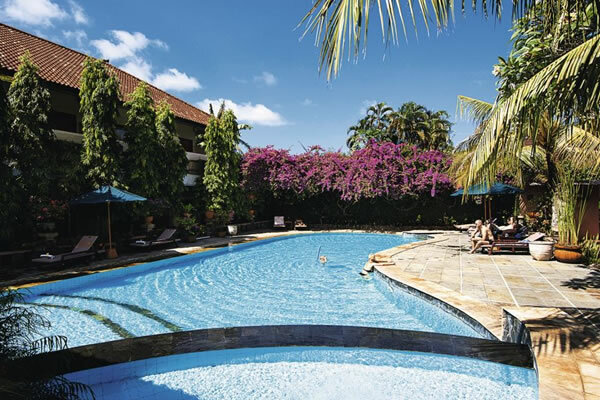 This lively hotel includes a stellar pool scene, heaps of activities and a pick of places to dine in. Flights included. 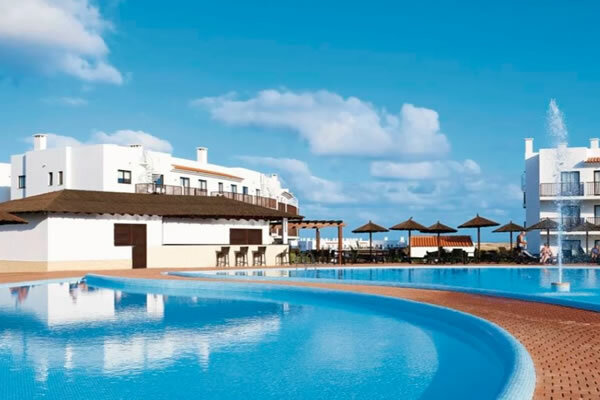 A luxury hotel overlooking the sea and offering an outdoor pool and spa, ideal for those wanting to relax. Flights included. 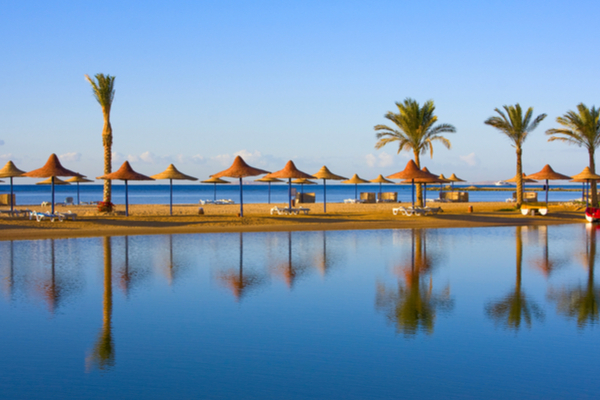 A beachside resort offering 10 restaurants, a luxury spa and a large outdoor pool. Flights included. 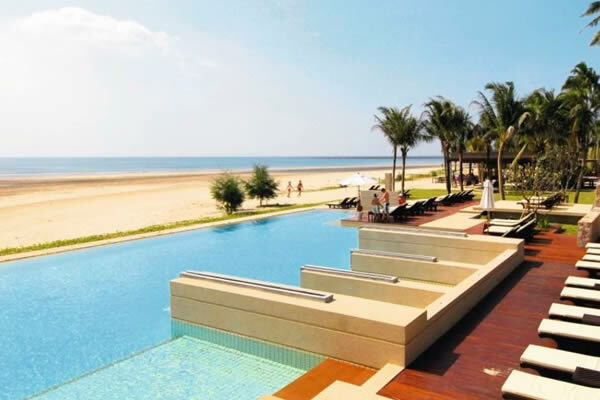 This stylish hotel sits on Pakarang Beach so you'll be steps away from the sand. Flights included. 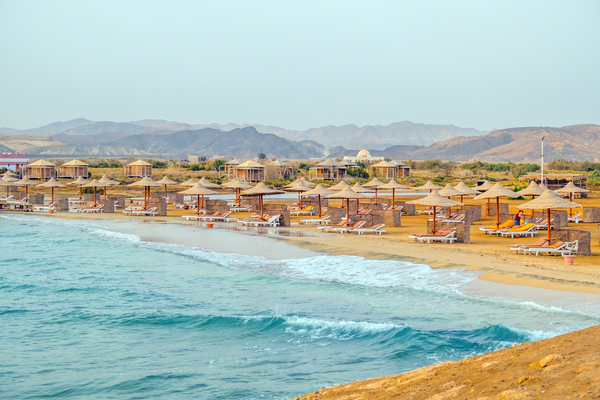 A beachfront setting, loads of activities, and a clutch of high-end restaurants. Flights included. 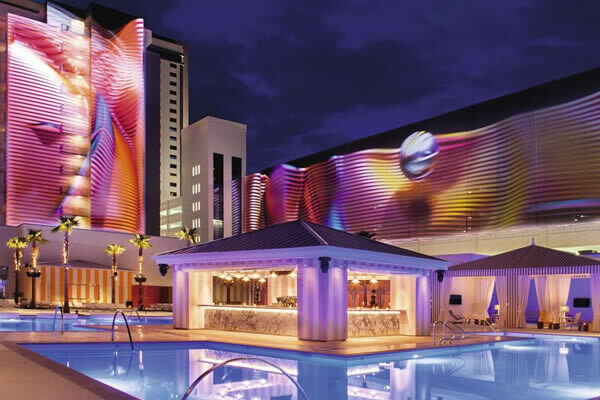 Families are a big fan of this hotel with its impressive after-dark entertainment, top pool scene and long activities list. Flights included. 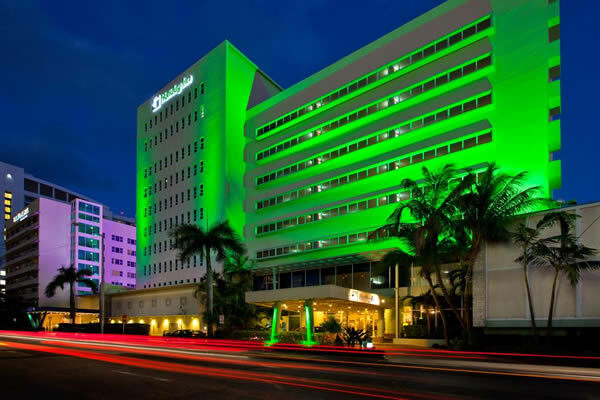 From volleyball on the beach to the late-night disco, this hotel always has something going on. Flights included. 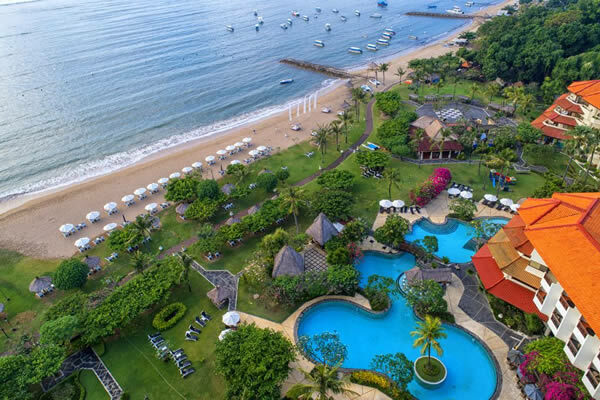 A beachside hotel in a tucked away location offering tennis courts, 6 restaurants and a swimming pool. Flights included. 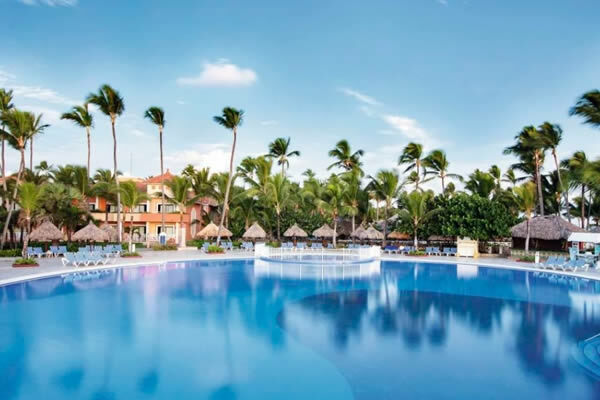 The Paradisus Princesa del Mar occupies a prime spot on the beach, and flaunts three huge pools and various of places to eat and drink. Flights included. 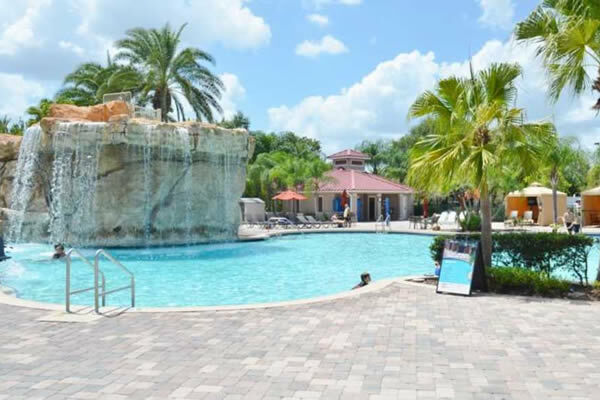 Enjoy 6 restaurants, unlimited waterpark access and a 5 minute walk to the beach. Flights included. 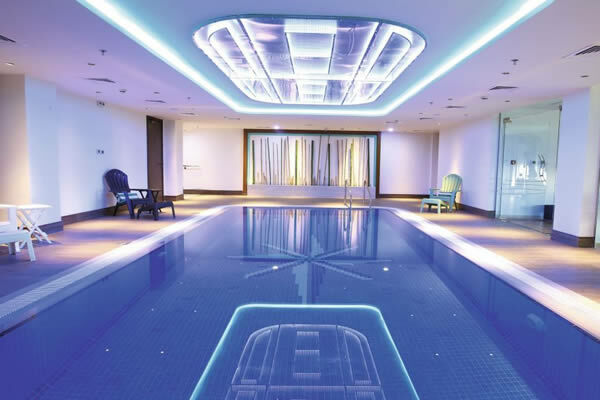 A first-class dining scene, a stylish pool and a near-to-beach postcode are the calling cards at the Jaz Dar El Madina. Flights included. 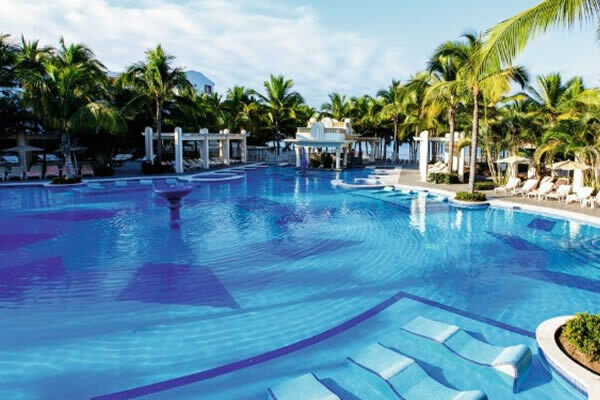 Located on a 7 mile beach, you'll have the choice of 4 pools to laze around and many other facilities to enjoy. Flights included. 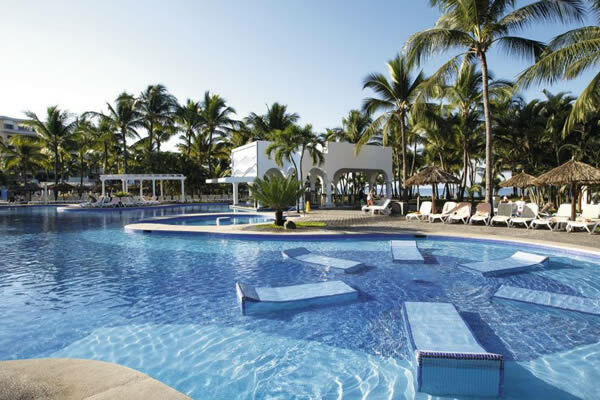 A resort right on the beach offering 2 large pools and 4 restaurants. Flights included. 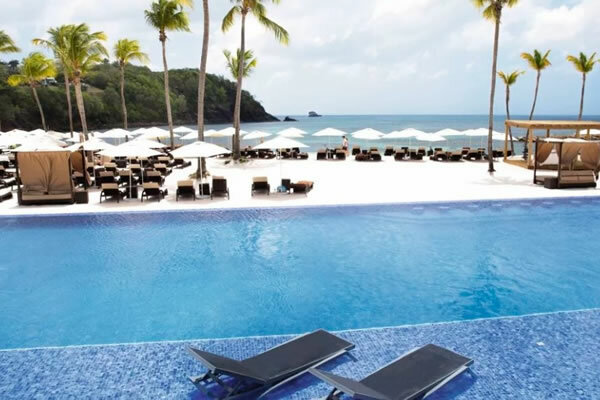 A luxury hotel set on a palm-fronted headland that pokes into the Caribbean sea. Flights included. 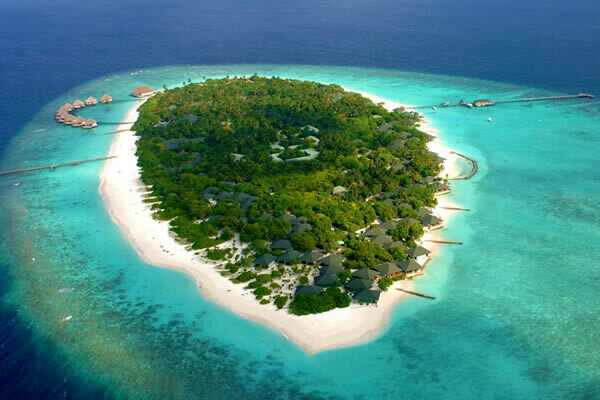 A beachside hotel in a tucked-away location with a private island just a few steps from shore. Flights included. 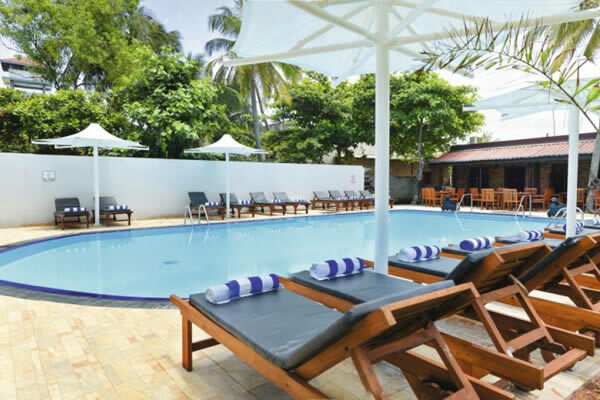 Plonked on a prime patch of sand, right by the Indian Ocean offering swanky facilities and 3 restaurants. Flights included. 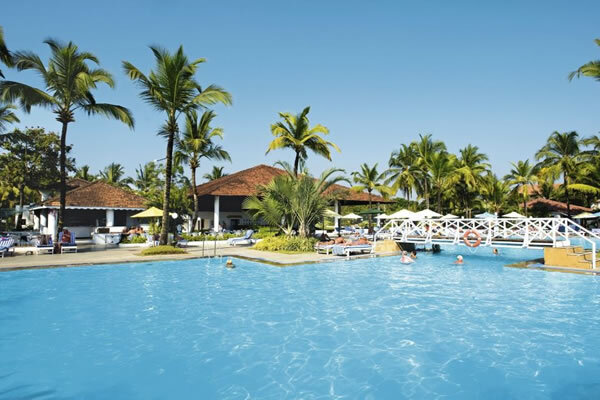 A beachside hotel ideal for sampling Indian food whilst hanging out next to one of the biggest pools in Goa. Flights included. 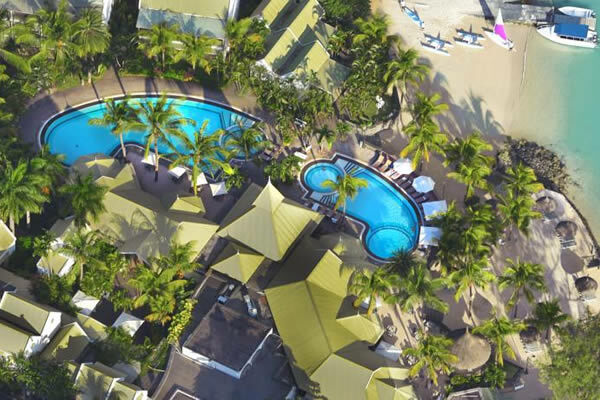 A beachfront hotel with 4 swimming pools, 5 restaurants, and a hefty list of activities. Flights included. 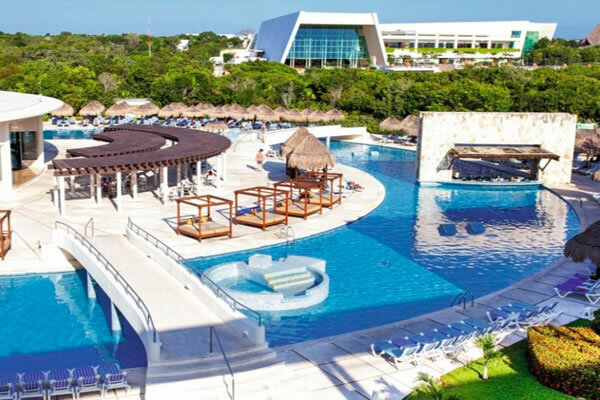 This place has a whopping 7 restaurants, a private beach, a massive pool, a spa and much more. Flights included. 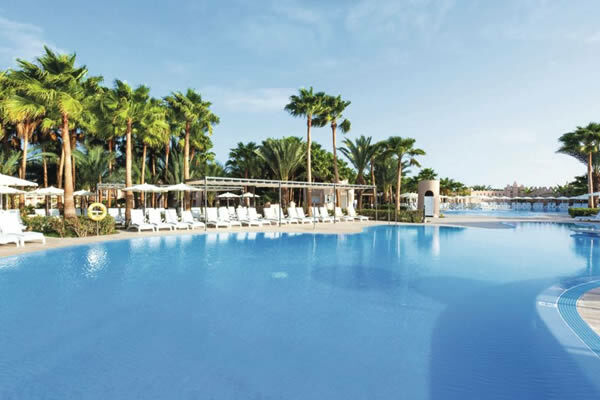 A cosy atmosphere with a tropical garden setting where you'll find a beach just 5 minutes away. Flights included. 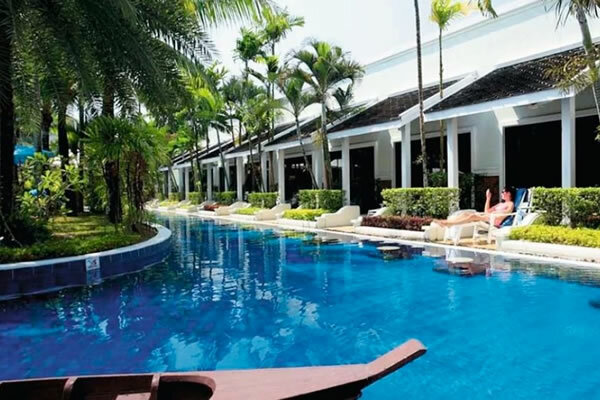 An ideal base for a Thai getaway offering a swimming pool, restaurant and light, airy rooms. Flights included. 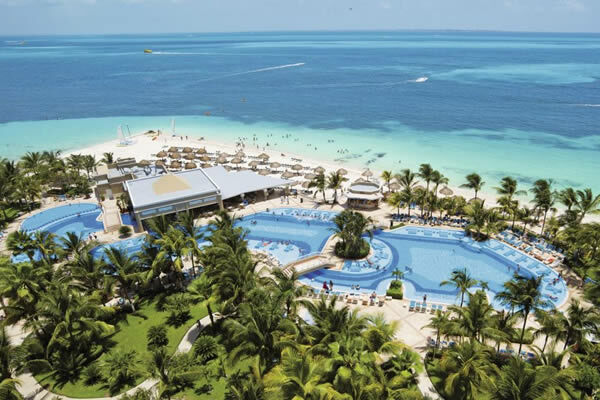 A huge complex with a prime beachfront location and offering 6 restaurants. Flights included. 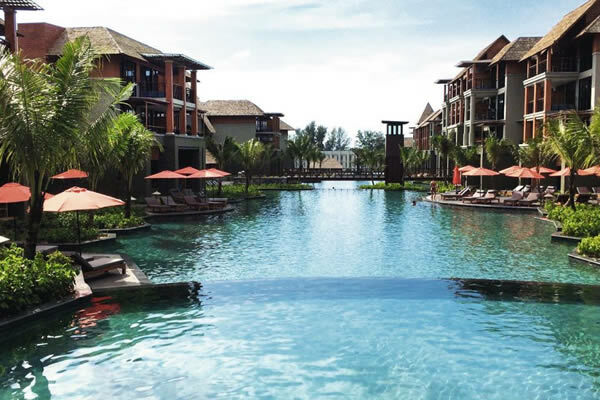 Modern good looks, interrupted sea views, 2 restaurants, an infinity pool and much more. Flights included. Riverside accommodation in a peaceful location offering a sea-view pool and sun garden. Flights included. 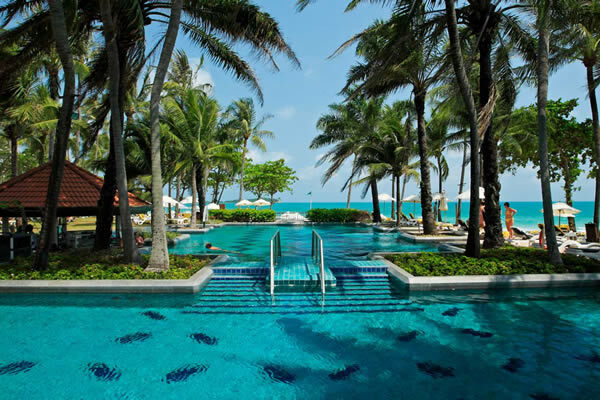 A luxury stay with a huge pool, swim-up rooms and close to the beach. Free shuttle bus to the beach & flights included. 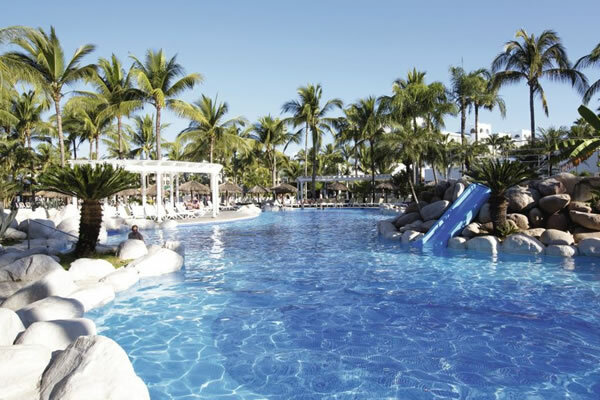 All turrents and towers, the stylish Riu Funana has a great location, right by a powder soft beach. Flights included. 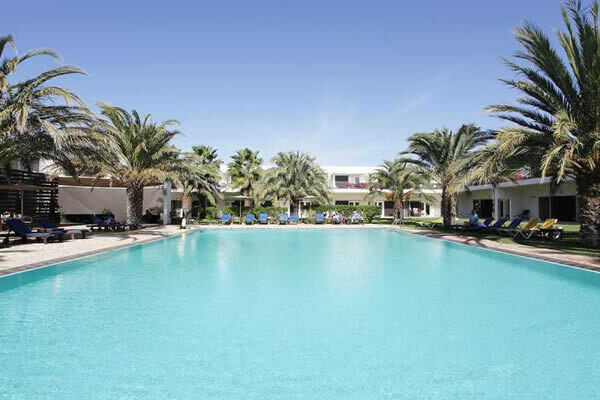 Framed by sand dunes and hugging Praia de Salines Beach, this hotel is a total retreat. Flights included. 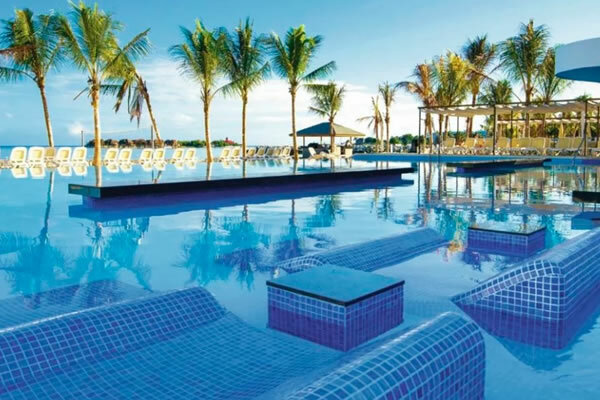 The huge pools are the standout feature of this hotel - along with a prime spot on Flamingos Beach's white sands. Flights included. 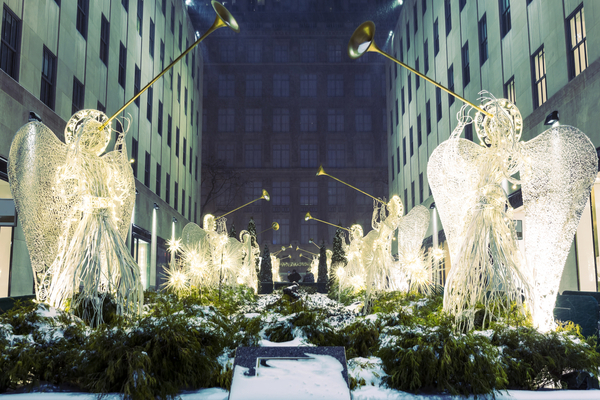 Enjoy this multi-centre holiday visiting the white sandy beaches in Barbados and high rise buildings in New York. Flights included. 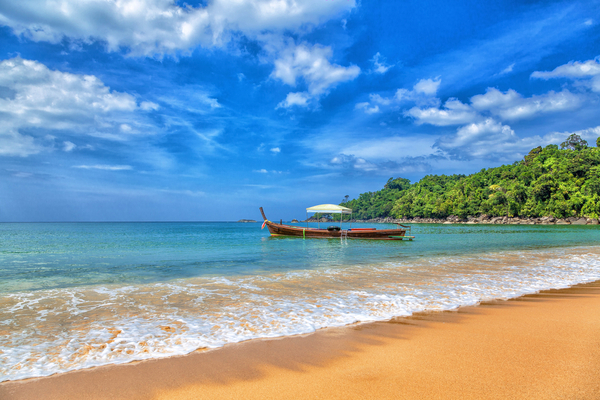 Combine contemporary Dubai with the beautiful beaches of Phuket to experience the best of both city and beach. Flights included. 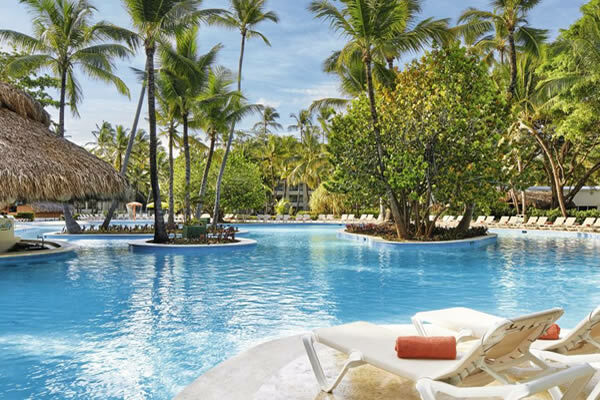 Thanks to pools with sunken loungers and a long list of a la cartes, this beachside hotel is in the lap of luxury. Flights included. 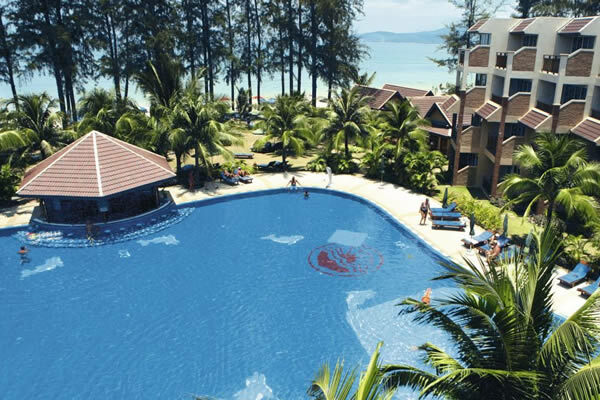 At Bluesotel Krabi Aonang Beach, you'll have top-of-the-range facilities and countryside views. Flights included. 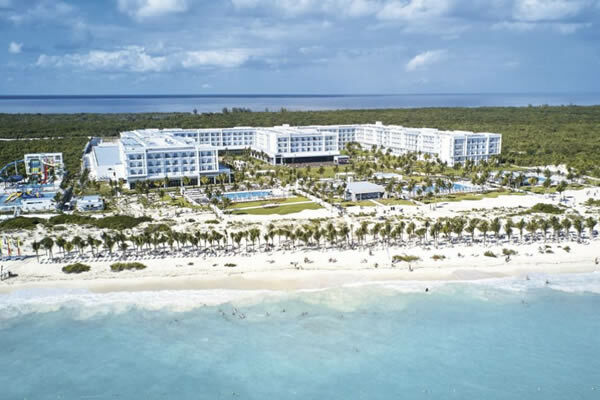 The fresh-faced Riu Dunamar brings a whopping five restaurants, five bars and five pools to the edge of a footprint-free stretch of sand. Flights included. 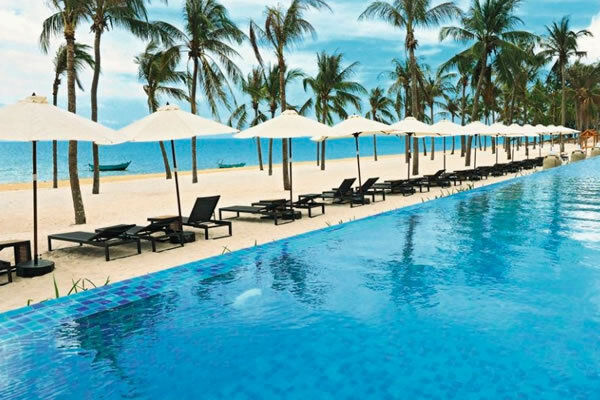 This hotel makes the most of its beachfront location - the restaurants overlook Bangtao Bay and the luxury spa* offers sea-view massages. Flights included. 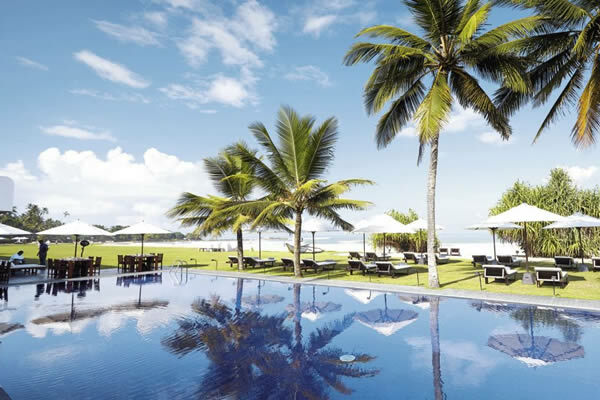 From the white cushioned loungers that line the pool to the evening sun-downer sessions on the sand, this chic hotel has a real beach club feel to it. Flights included. 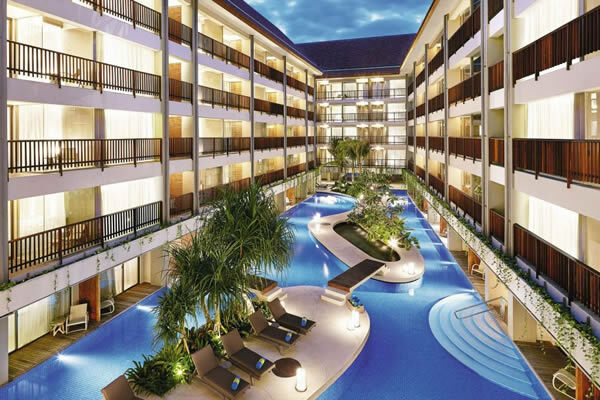 The Four Points by Sheraton Bali slots right into the centre of the action in Kuta. 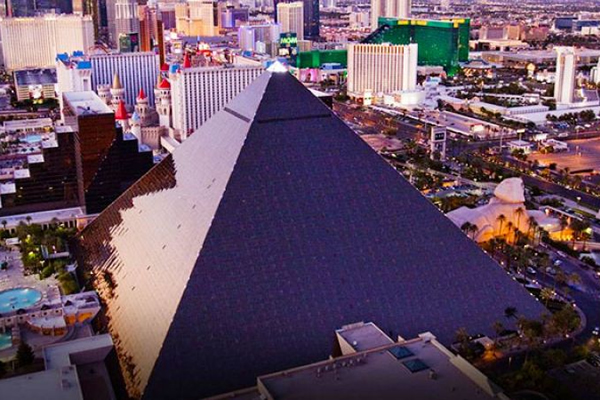 Check out the city from above from the rooftop pool and bar. Flights included. 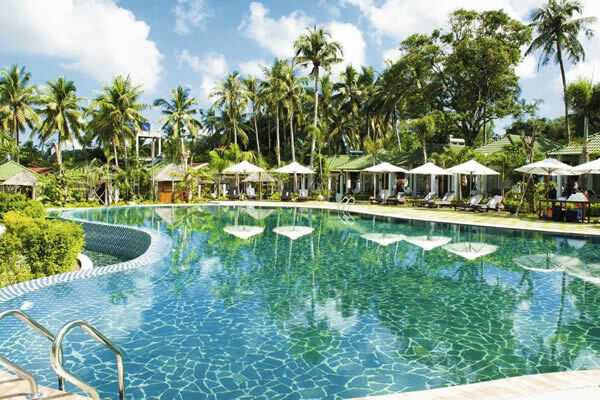 This hotel is set in Baga's bustling centre, yet acres of tropical gardens give it a secluded feel. 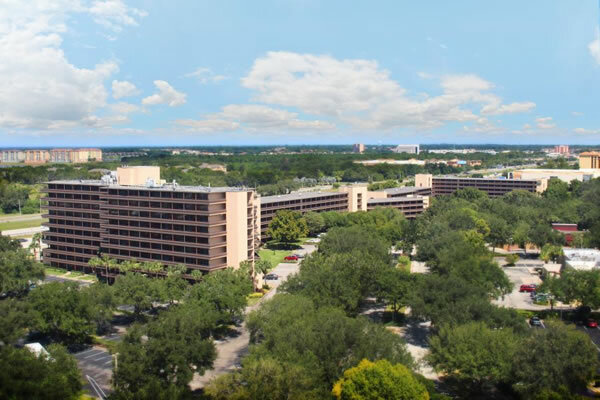 It's only a few minutes' walk from the beach, too. Flights included. 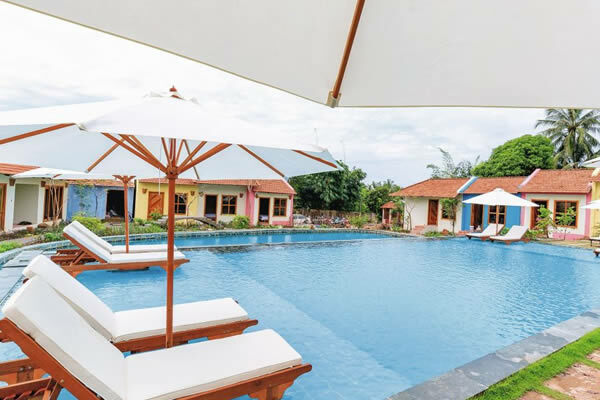 The Daisy Village Resort and Spa's perched on a tree-dusted hillside, walking distance from one of Vietnam's trademark white-sand beaches. Flights included. 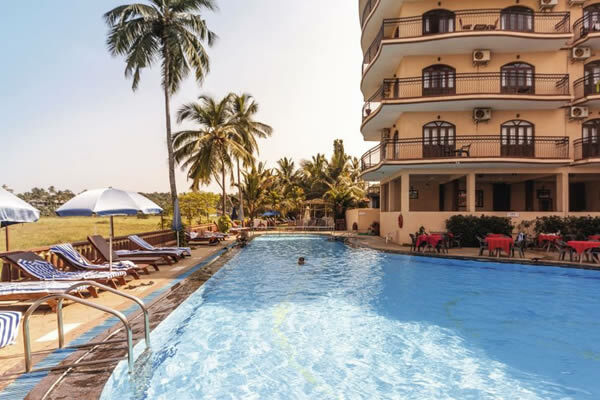 With a big swimming pool and a huge stretch of beach on the doorstep, Goldi Sands proves good things come in small packages. Flights included. 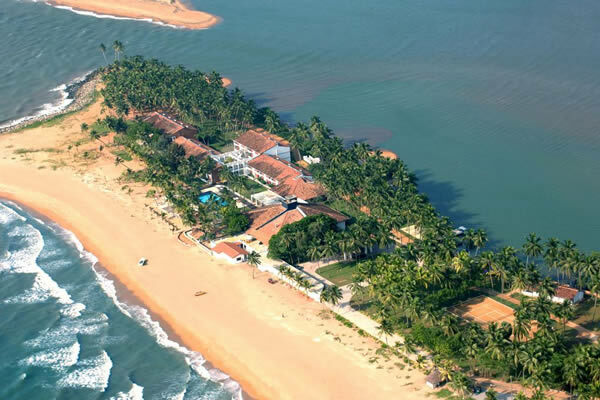 The clue's in the name at the Paradise Beach Hotel - there's a golden sweep of sand just footsteps away. Flights included. 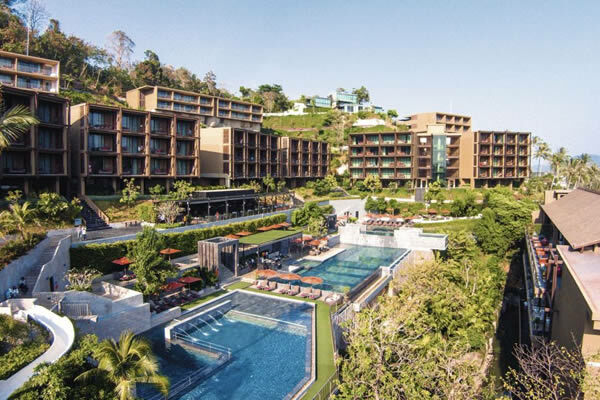 Sunsuri Phuket is tucked into a hillside, five minutes' walk from one of Asia's finest beaches. Flights included. 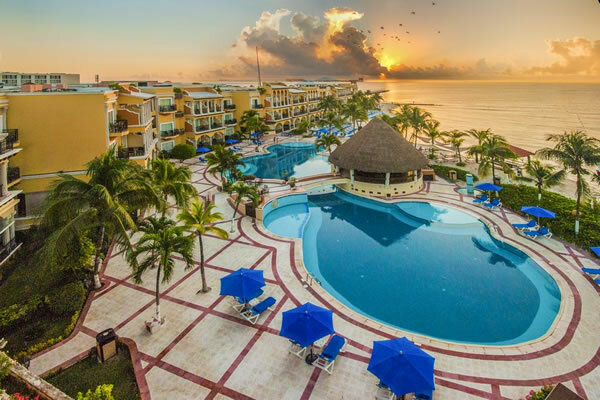 Standout sunsets and sea views are an essential ingredient of the Famiana Resort's recipe - the beach bar and the pool have the best vantage points. Flights included. 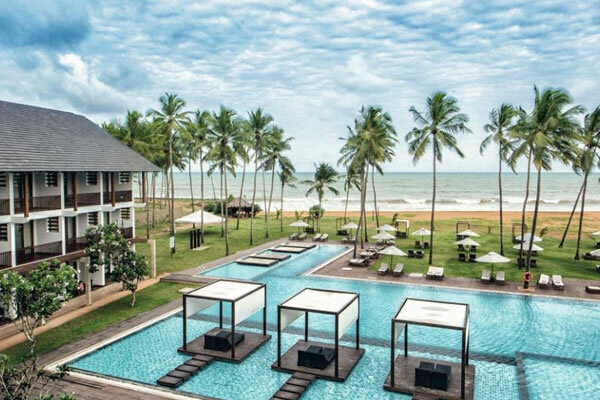 Mai Holiday Khao Lak is a brand new addition to the Thai beachfront. Modern chalets surround a huge pool and there's a luxury spa offering treatments. Flights included. 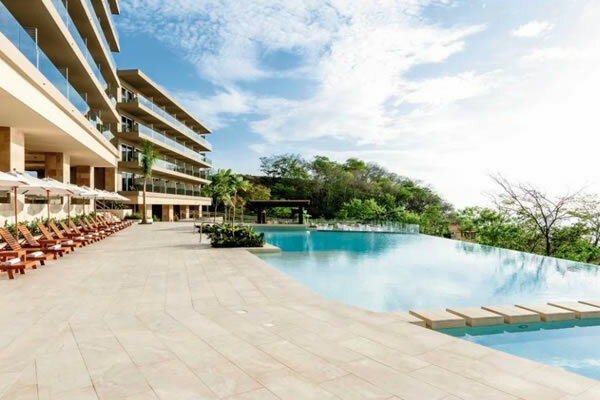 The Impressive Resort & Spa is pulled right up to El Cortecito beach. 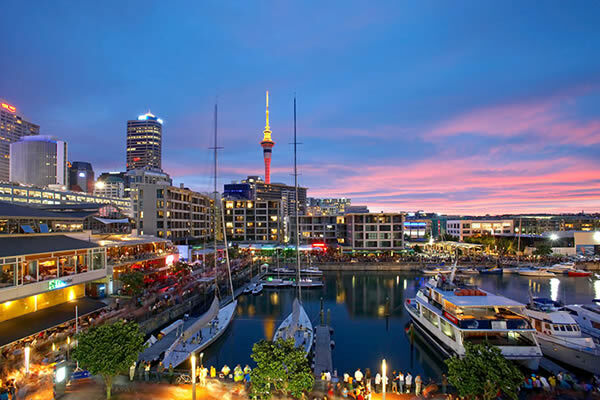 Plus, it's popular with foodies, thanks to its themed restaurants and adults-only wine bar. Flights included. 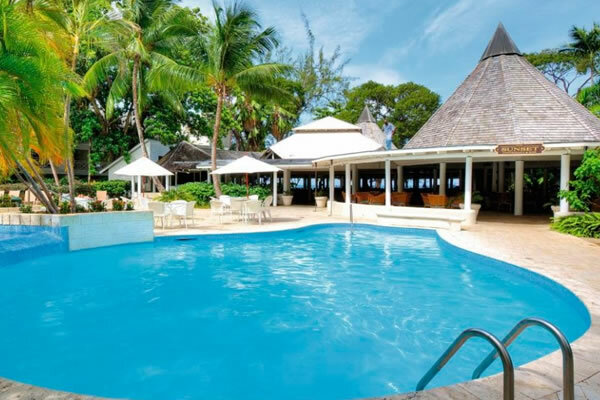 Butterfly Beach is a friendly beachfront resort offering incredible value for money in the heart of the popular south coast of Barbados. Flights included. Low deposit option available. 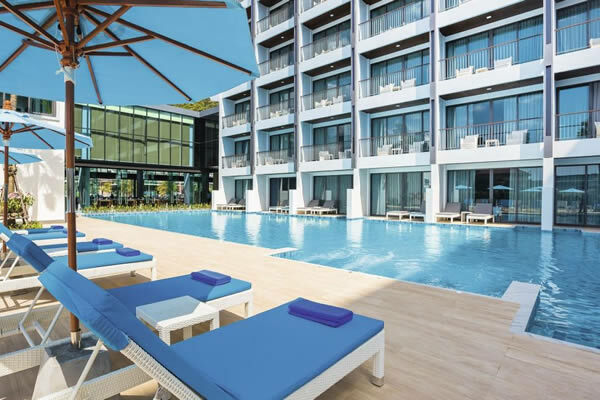 This accommodation features an outdoor pool and a children's pool. The hot tub is the perfect place to relax. Flights included. 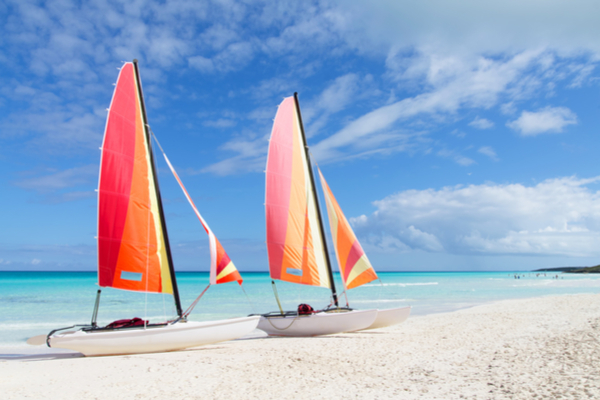 With water skiing, windsurfing, banana boat rides, canoeing, sailing, kayaking, snorkelling and diving, fans of water sports will have plenty to choose from. Flights included. This accommodation offers sports enthusiasts a wide range of indoor activities, including a gym, table tennis, billiards, darts and yoga. Flights included. These villas nestle on the hillside in a quiet corner of South Samui on Natien Beach near Hua Tanon, a traditional Samui fishing village. Flights included. 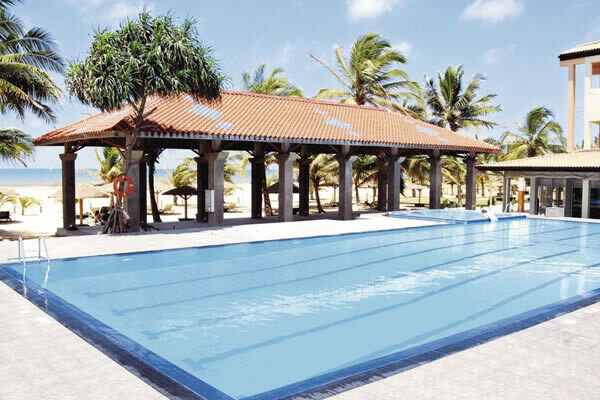 A variety of sporting activities are available at this accommodation, for example bocce, beach volleyball, volleyball, basketball and archery. Flights included. 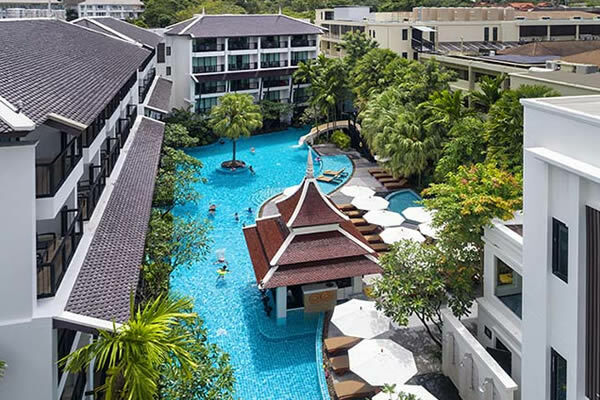 This luxurious Thai exotic resort will dazzle you with an outdoor pool and slider to relaxing spa treatments by the renowned Spa Cenvaree. Flights included. 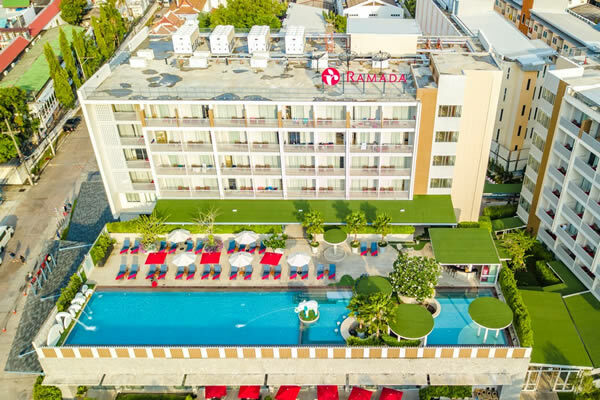 Set just a short stroll from Sal's famous Santa Maria Beach, this hotel is an ideal pick for those seeking a relaxing break amidst great facilities. Flights included. 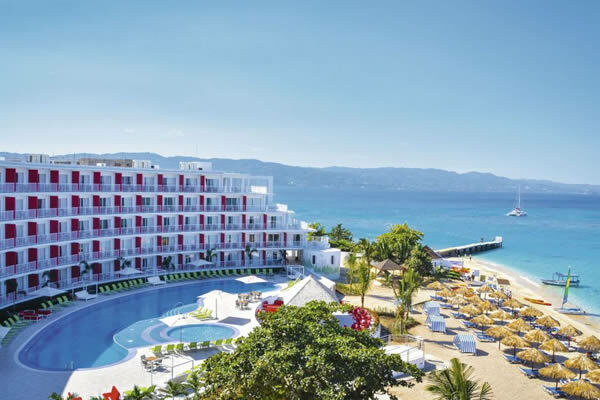 The Riu Montego Bay has snagged its own piece of sandy Mahoe Bay, but you'll find it hard to leave the huge pool when you stay here. Flights included. 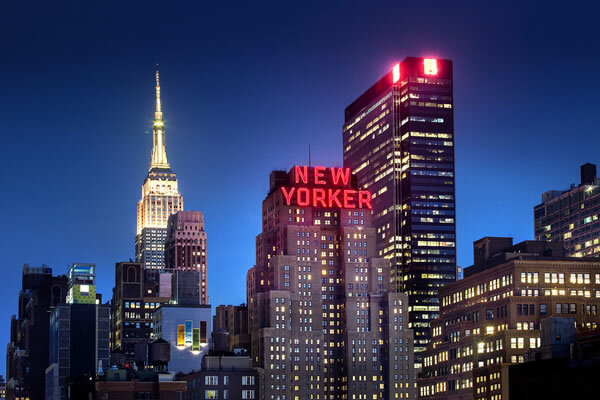 New York welcomes the traveller with high rise buildings like Empire State & Las Vegas is considered as the party city which offers you 24 hour vivacious enjoyment. Flights included. 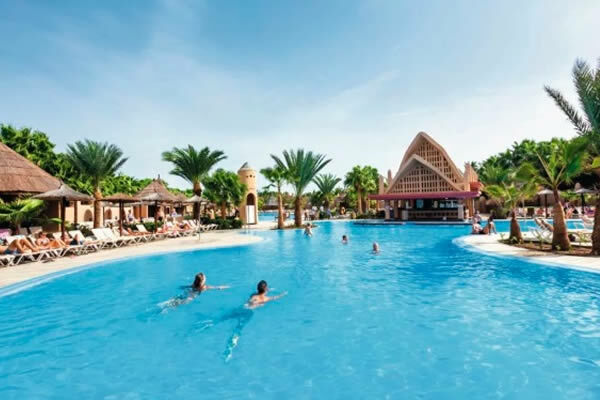 The holiday village features an outdoor pool, a children's pool, sun loungers on the sun terrace offering an inviting place to relax & much more. Flights included. 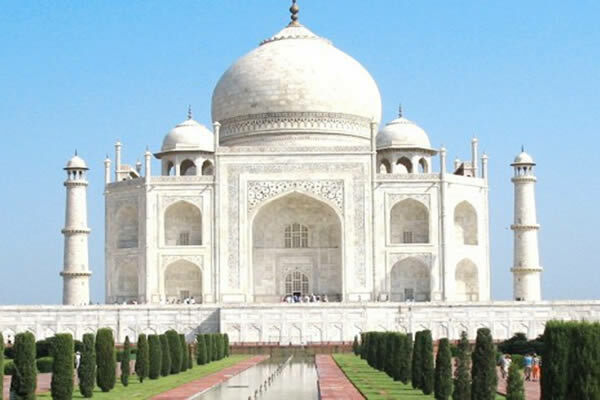 Probably, no other theme tour besides Golden Triangle Tour can provide you with a full-fledged glimpse of India's royal and cultural heritage in such a short span. Flights included. 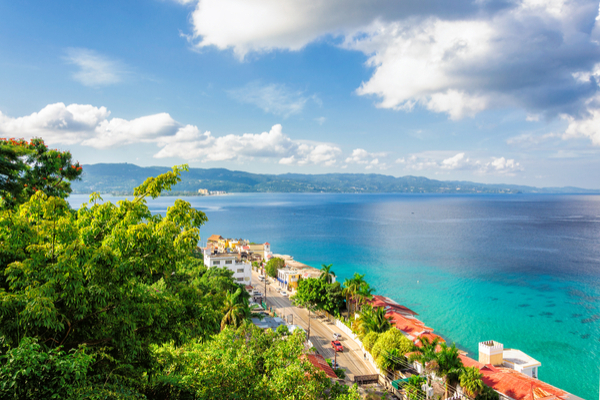 Discover Havana, a city full of history and music, and the cradle of the Cuban Revolution. 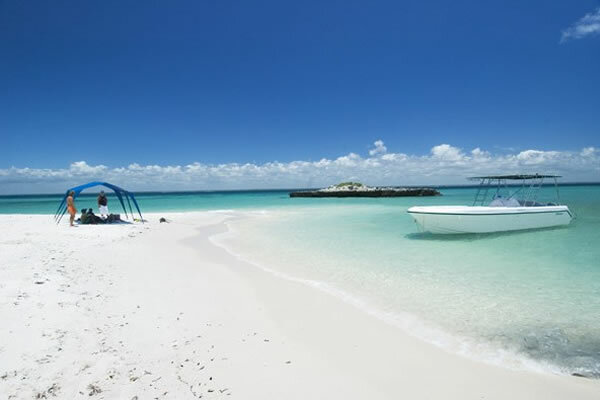 Before relaxing on the beaches of Cayo Santa Maria. Flights included. 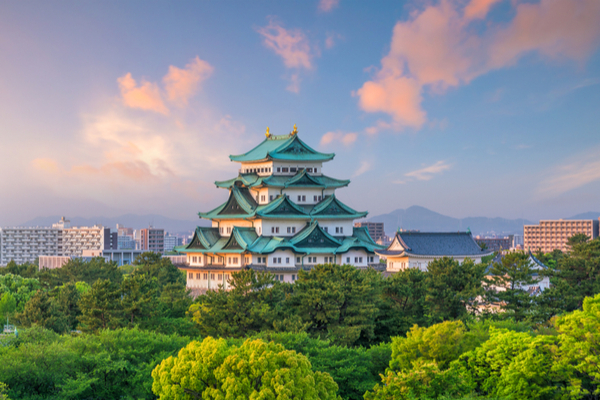 Discover the beauty of Japan's architecture, ancient customs and gastronomic excellence. 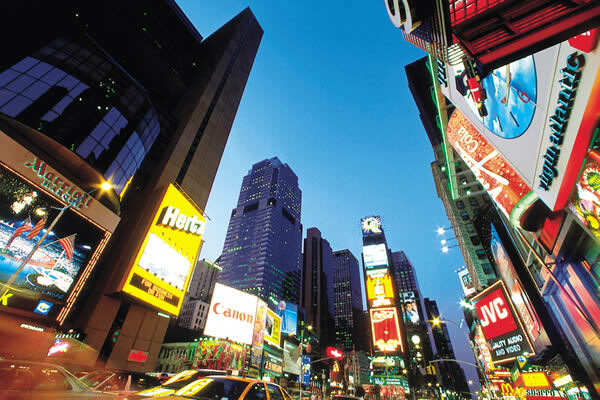 Includes a 7 day Japan Rail Pass & flights. Travel to Ecuador and discover Quito, the oldest capital in South America, the waterfalls of Banos, the volcanos of Riobamba and the charm of Cuenca. Flights included. 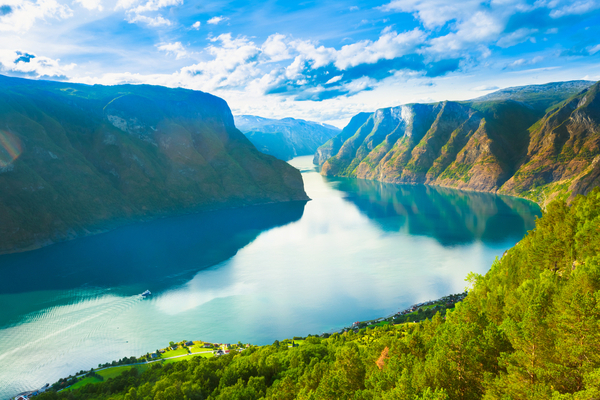 Discover the capital city of Oslo, spend your nights on the shores of Norways most beautiful fjords in Oppland & Sogn og Fjordane and much more. Flights included. Save £150 with code SALE150. 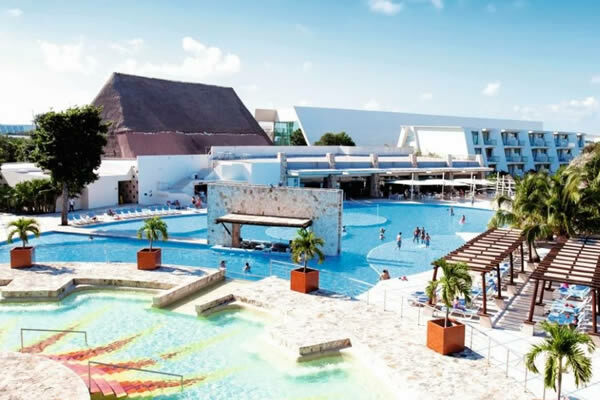 The huge pools are the standout feature of this hotel - along with a prime spot on Flamingos Beach's white sands. Flights included. Save £150 with code SALE150. 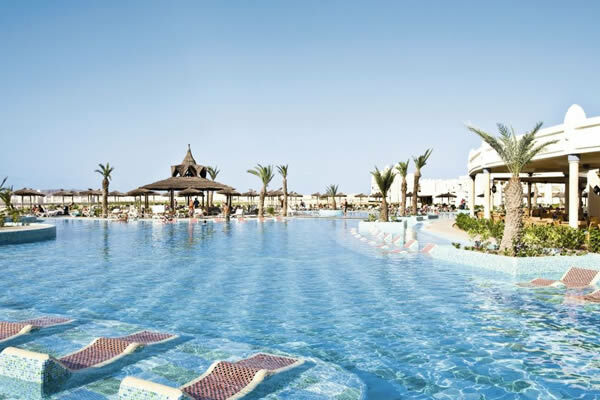 The sandcastle-shaped Riu Palace Cabo Verde pairs an activity-filled beach with a great pool scene. Flights included. The views from the Bel Jou Hotel are on the money. 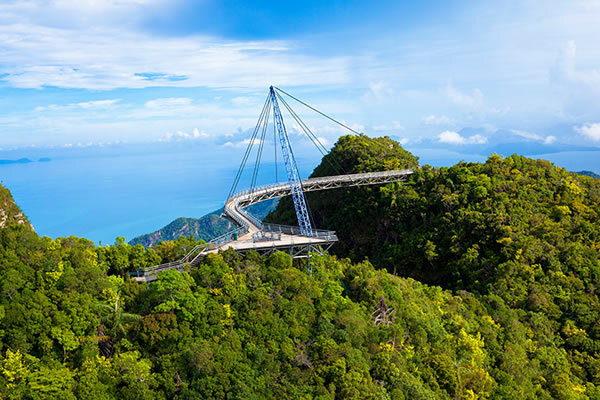 From its hillside setting, you can lap up the sprawling coastline and countryside. Flights included. 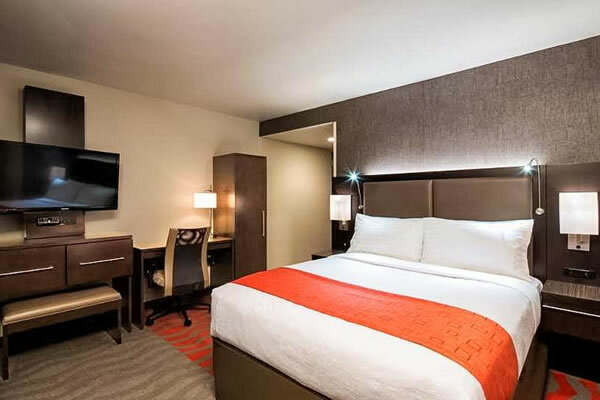 This hotel has great sea views from every room, a trio of restaurants, and a slick bar straddling the beach and pool area. Flights included. 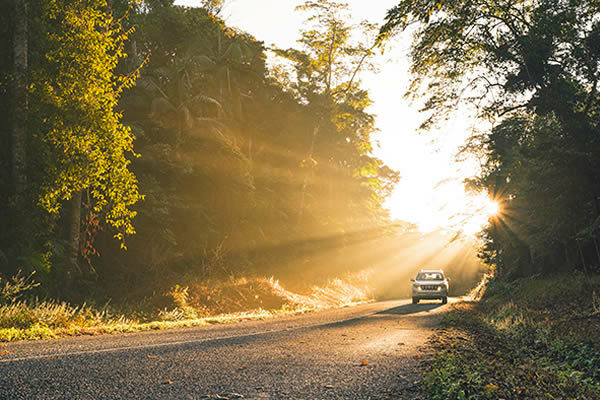 Combine the calm of the Bay of Islands with an action-packed self drive around the South Island with a scenic rail journey in between. Flights included. 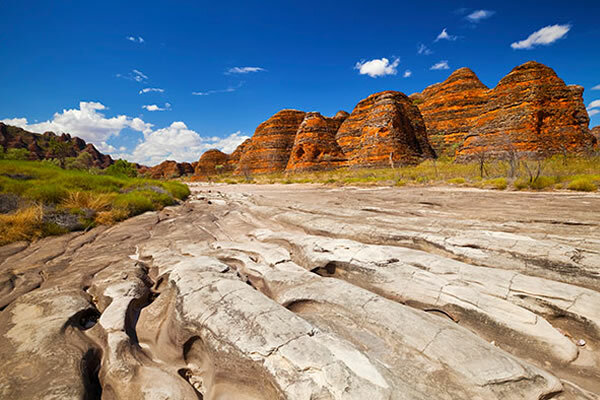 Experience the best of Queensland on this 1200 mile adventure along the Barrier Reef coastline. 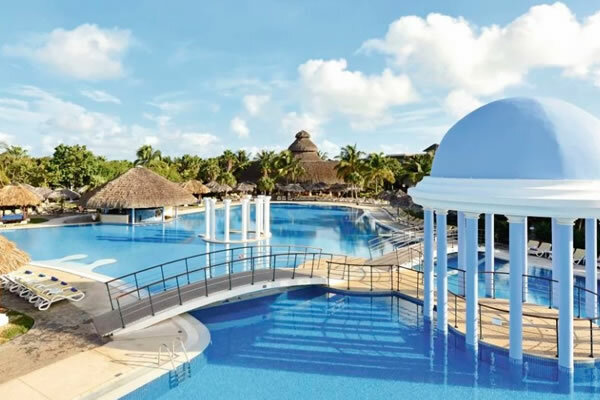 This resort offers guests 3 pools, one of which is outdoor, with poolside snackbar, sun loungers and much more. Flights included. 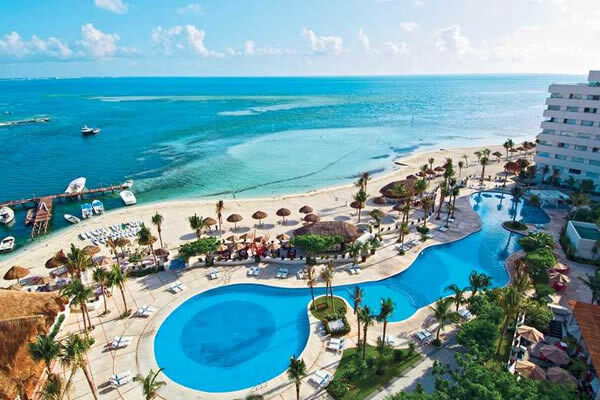 The Grand Oasis Palm sits on a private beach within the Cancun Hotel Zone. Promising more to see and do than you can count on both hands. Flights included. 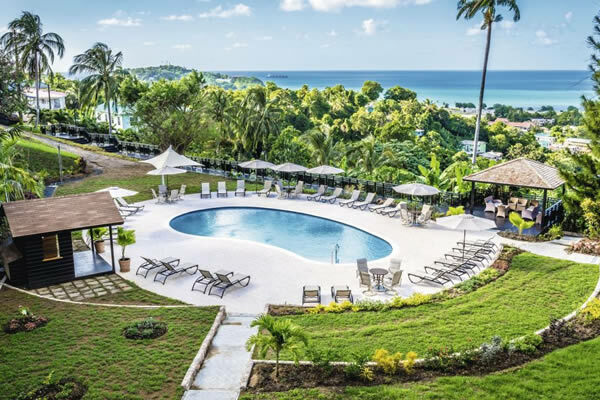 An intimate complex of 25 self-catering apartments which are located in the heart of the West Coast of Barbados. 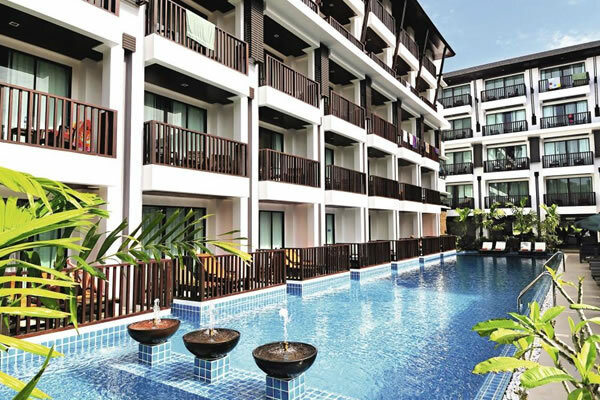 Outdoor swimming pool and flights included. 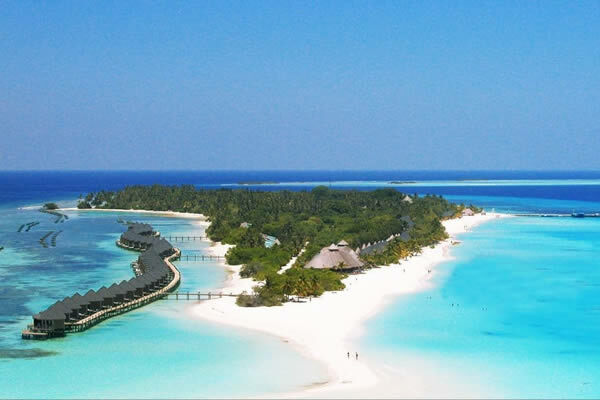 Fancy flying long-haul and experiencing the white sandy beaches and exotic climates for yourself? 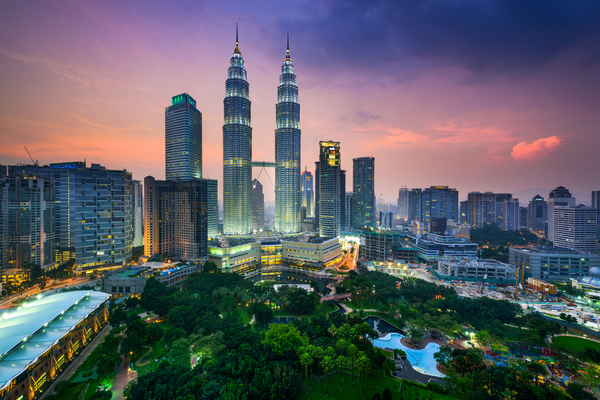 Discover some of the world’s most exciting locations around the world with our long-haul travel deals! 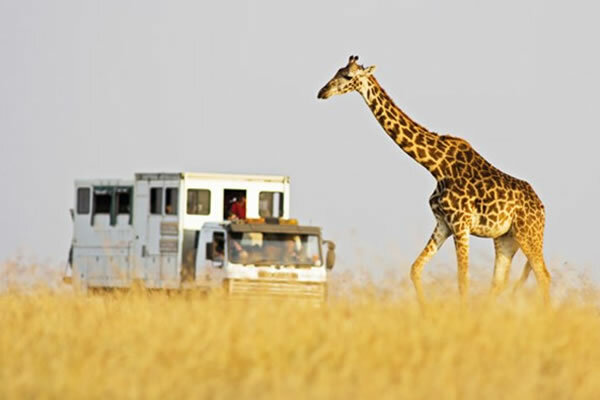 We offer a wide range of destinations to choose from to ensure you find your perfect getaway. 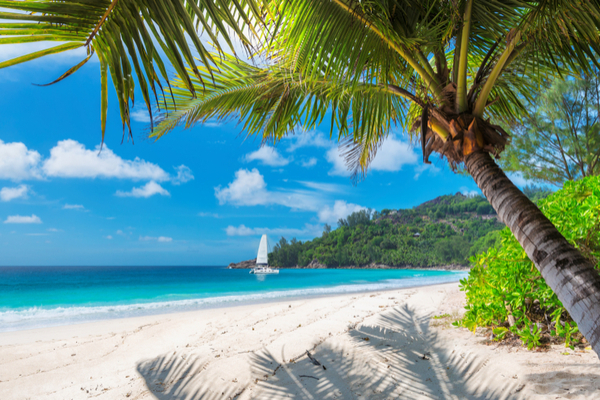 From a fun-filled break in Disneyland, Florida to relaxing on breath-taking white sand in the Caribbean, long-haul holidays are ideal for an escape in the sun, especially during the winter months. 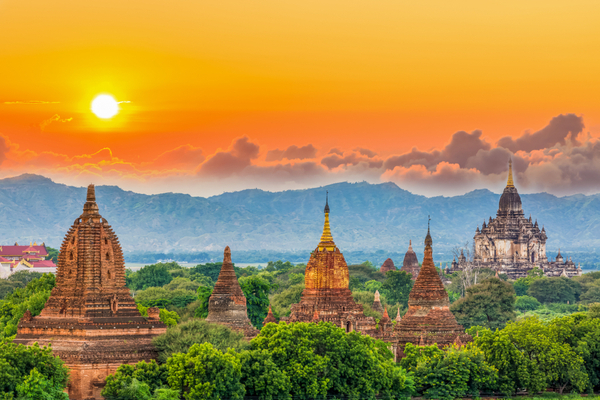 We know that it’s a big world out there and if you’re struggling to choose which destination to explore, then why not read our top destinations for a long-haul holiday below for some inspiration. 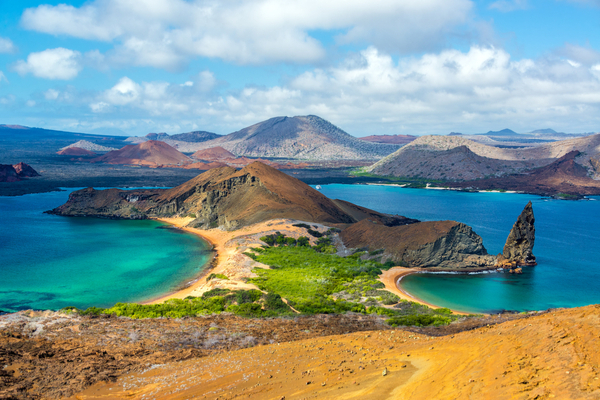 Discover a picturesque destination offering turquoise bays and soft white sand beaches. 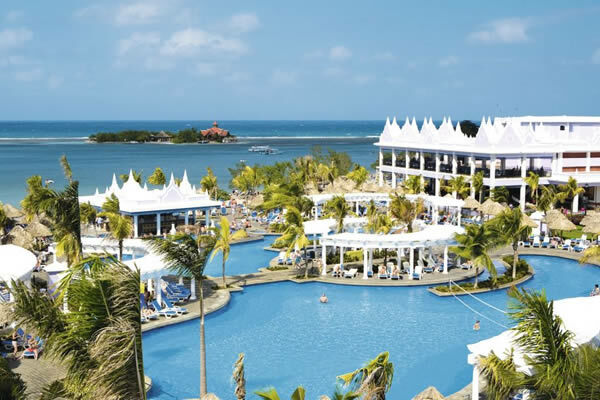 You’ll be spoilt for choice with the wide range of islands on offer. 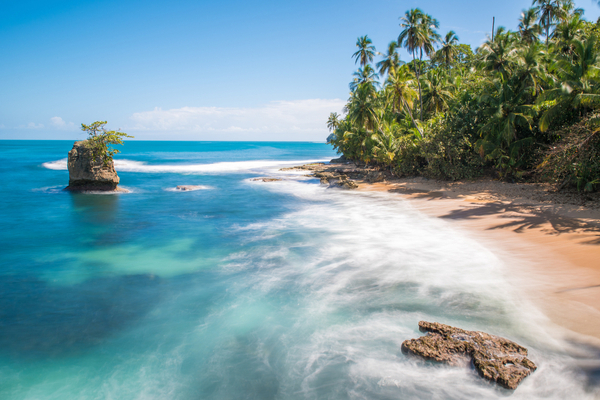 From Dominican Republic to Cuba, Jamaica to Barbados, there are so many places to choose from for the perfect tropical getaway. 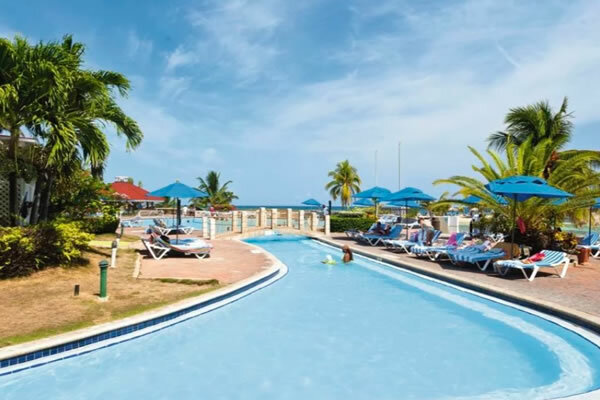 Sink your toes into Grenada’s soft sands whilst watching the kids play in the clear waters. It truly is beautiful. 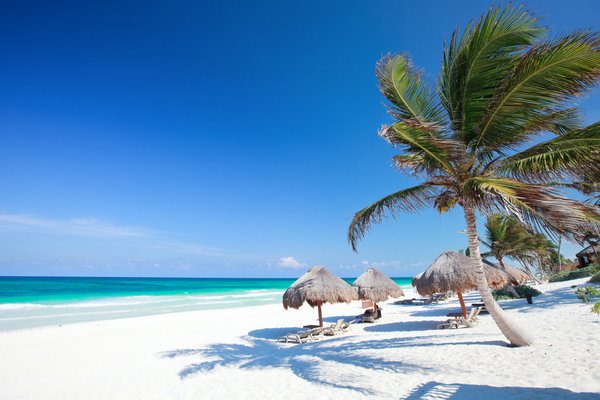 However, the Caribbean is not all about beaches. 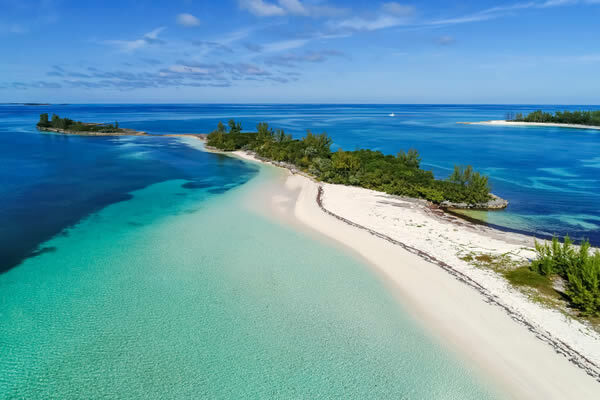 There are many exciting activities to get stuck into such as swimming with the stingrays in the Cayman Islands or trekking through crystal caves. 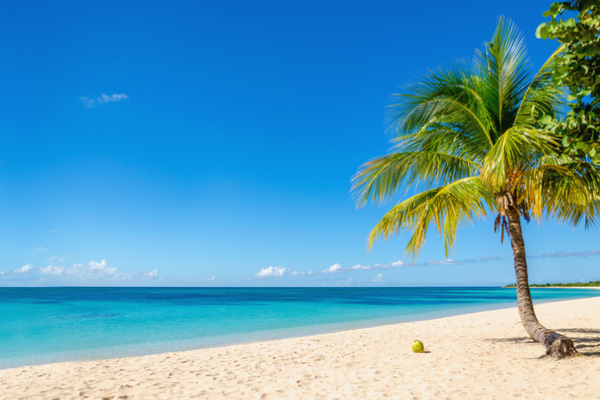 Planning getting the most out of your trip with the Top 10 Things to Do in the Caribbean. 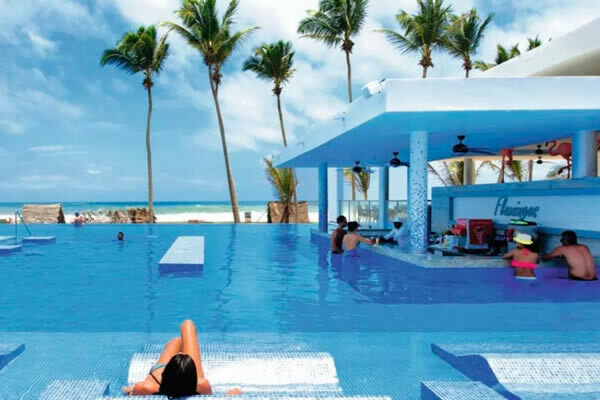 Most resorts will be all-inclusive proving to be much more cost-effective when there are so many new things to try. 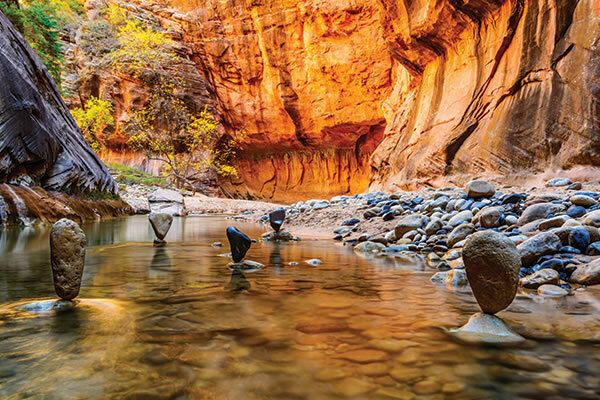 Instead of worrying about what you're spending you'll be able to focus on relaxing and enjoying each moment. 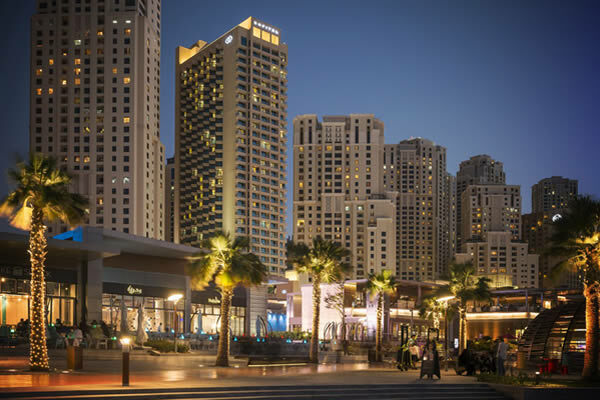 The city that never sleeps - Dubai offers year-round sunshine, stunning beaches and attractions bigger and better than most places in the world. 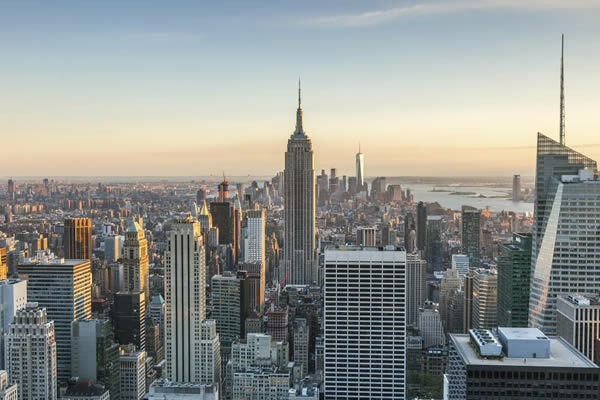 Over the years it has undergone a complete transformation: from a quiet desert village to the quickest growing economy in the world. 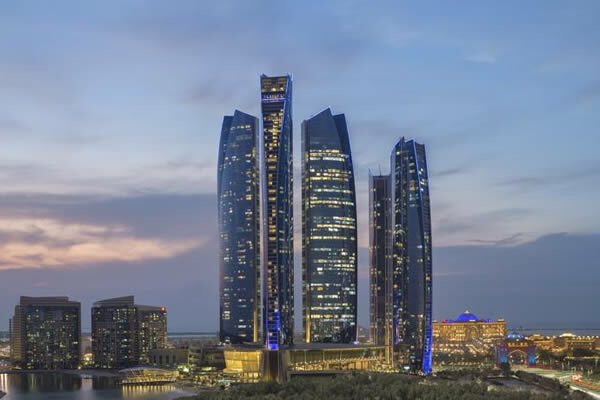 Dubai is definitely not just skyscrapers and shopping, but a city which has everything. 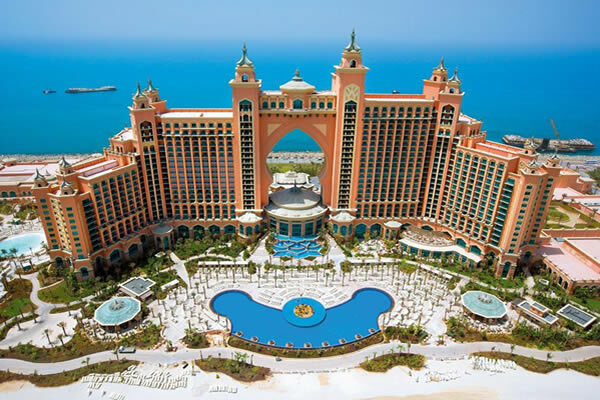 Skid around in a 4x4 on the Arabian Desert or fight the rapids at one of the best waterparks in the world, Aquaventure at The Atlantis Hotel. 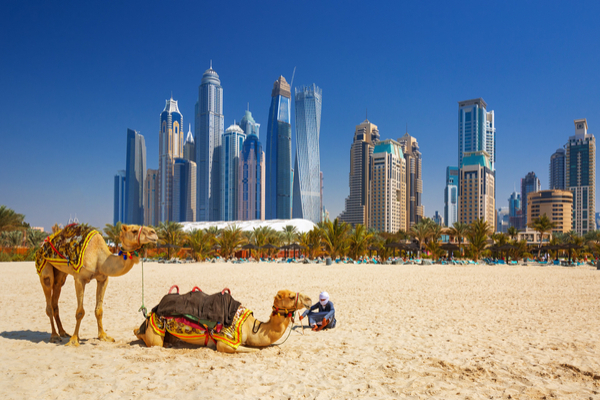 If you’re craving heat, beaches, entertainment and luxury living then Dubai should definitely be on your bucket list. We find prices so low you’ll think it’s a mistake. 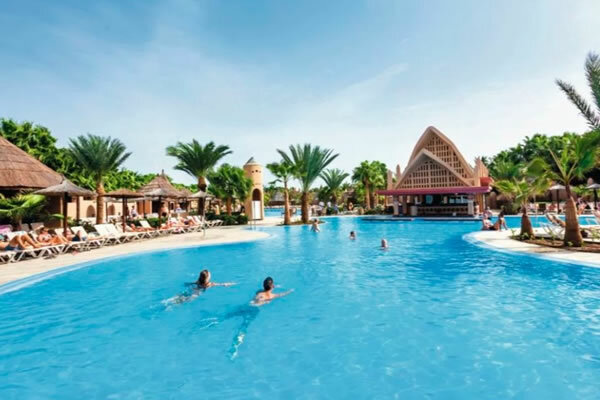 Many of our travel deals include child free places and tickets to attractions such as waterparks, so you can visit one of the most amazing places in the world at an unbelievable price. 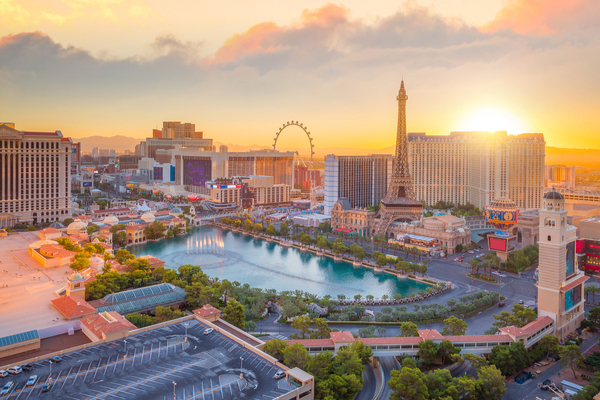 Grab a great-value holiday deal and discover long-haul for less!